What shocked me is it took man-hours of two people to write this script. With movies like Yamla Pagla Deewana, Ishqeria,Ranchi Diaries, Bhoomi you know what to accept but Namaste England stoops a level even below than these. With over 2 hours and 20 minutes of nonsense happening on-screen, this film has literally nothing to offer. 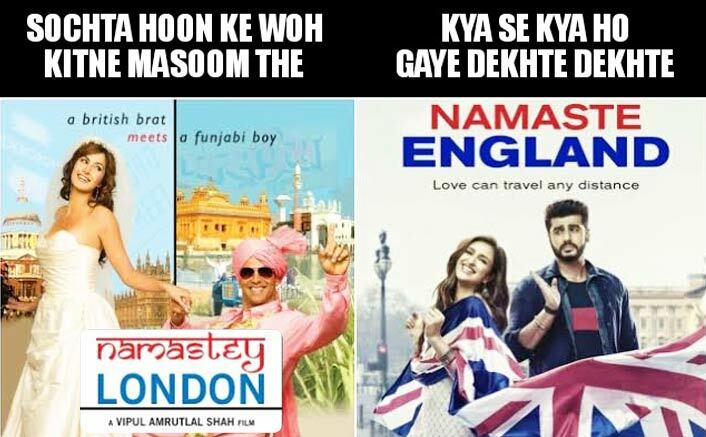 Referring to the title of Akshay Kumar’s classic Namaste London, the makers have attempted an unforgiving blasphemy. Vipul Amrutlal Shah was either high when he agreed to do such script or this was intentionally done to torture people. He miserably fails as the captain not even for a second you’ll feel this is the same guy who made Namaste London. His direction is poor and it’s also because of the aimless story. Music was the USP of Namaste London and the same thing breaks the spirit ofNamaste England. Not a single song of Mannan Shah clicks. Even Atif Aslam’s Tere Liye, which sounded good without the movie, falls flat because of situation in the film. Badshah’s Bhare Bazaar also pales in the movie & Proper Patola appears in the end credits (Stay if you still have some patience left). All said and done, there are good films, there are bad films, there are movies like MSG: The Messenger, Gunda, Race 3 and then there’s a movie like Namaste England. If you’re going to watch Badhaai Ho and are unable to get the tickets, come back home and watch Namaste London. Namaste England Movie releases on 18th October 2018.